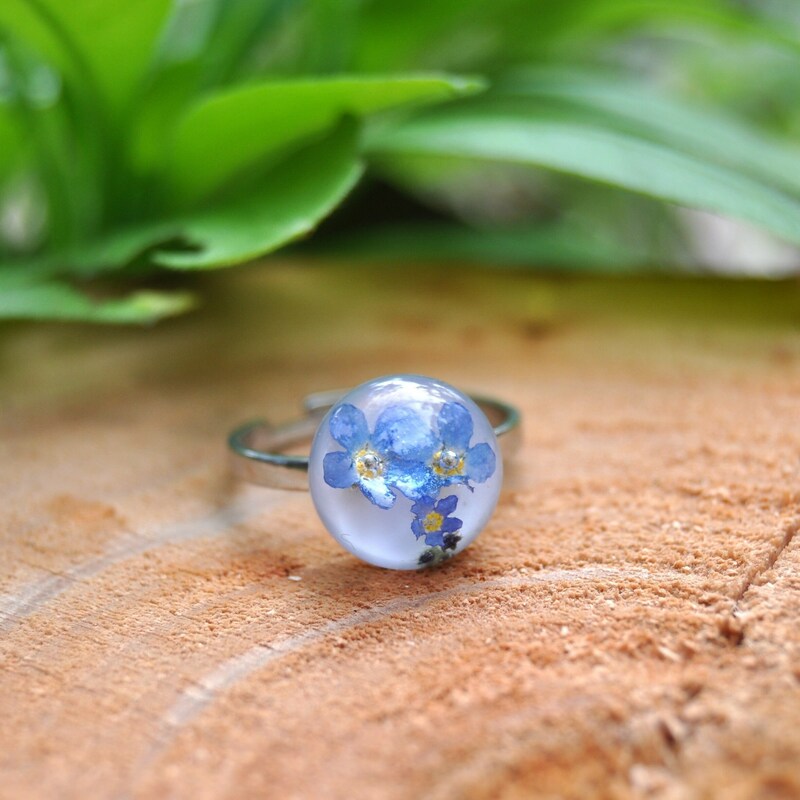 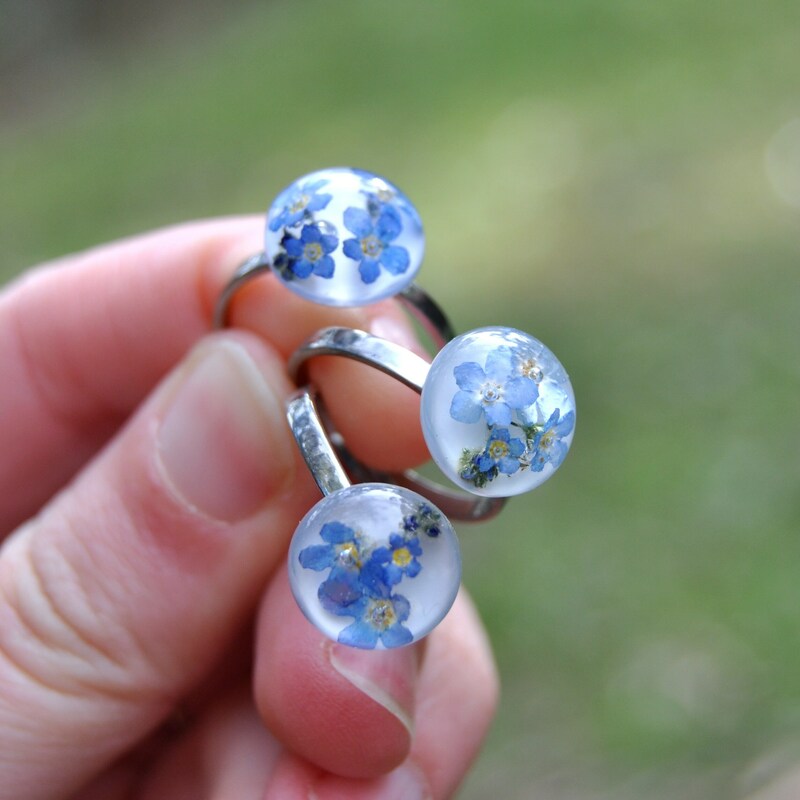 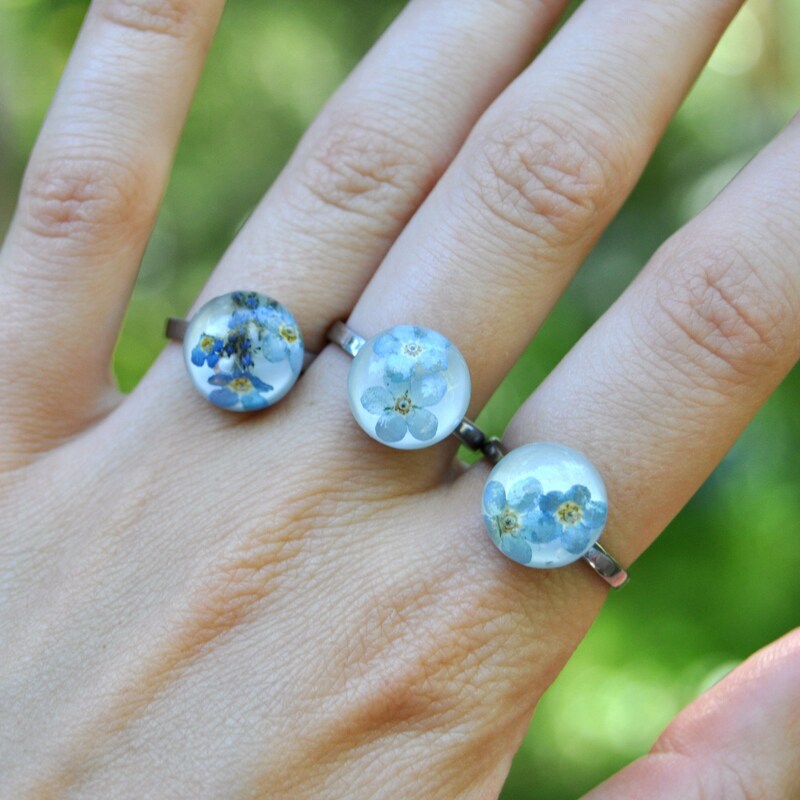 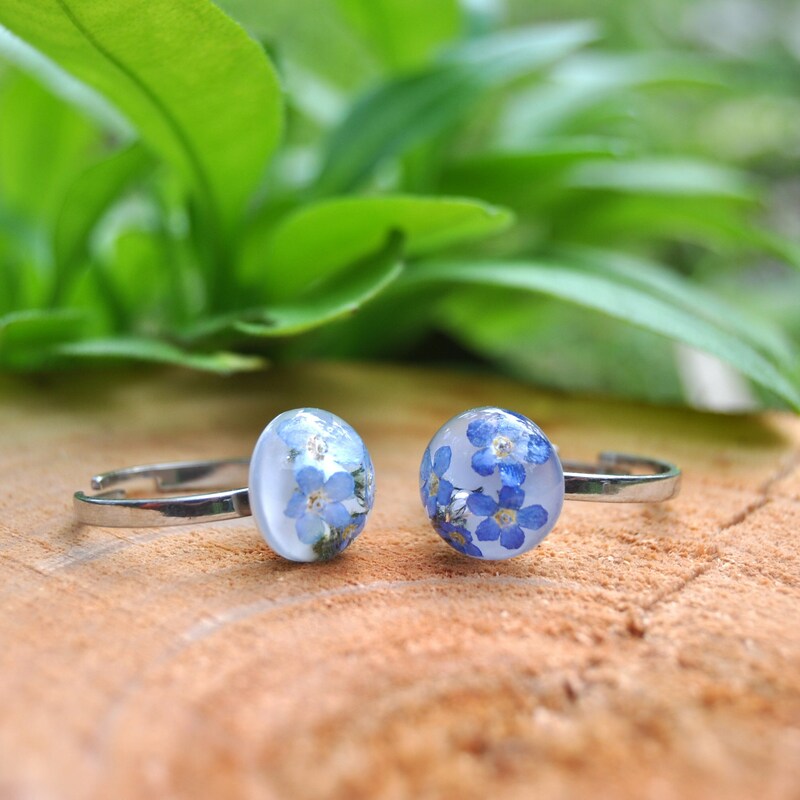 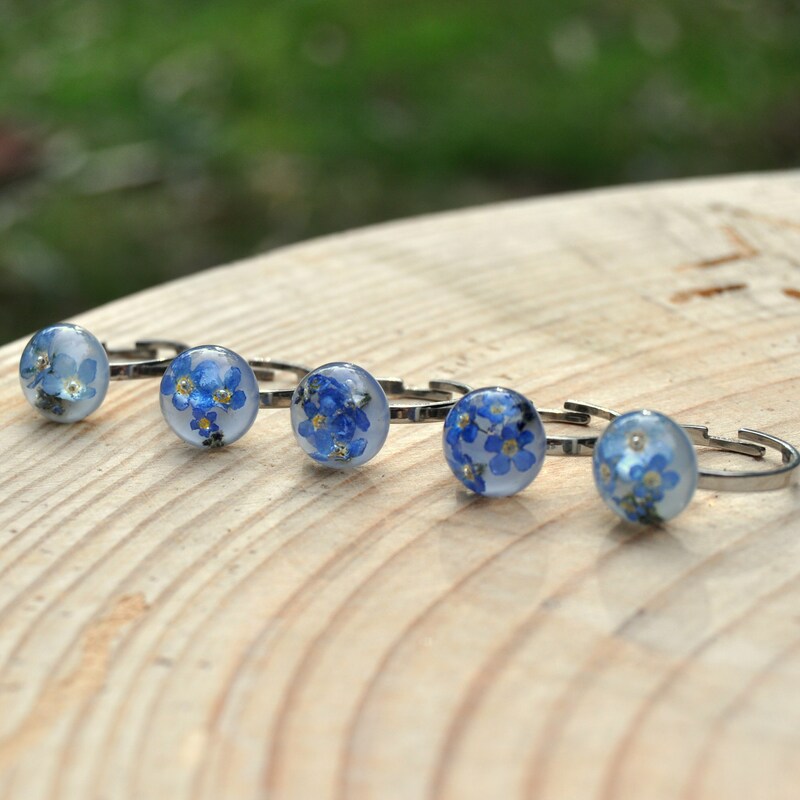 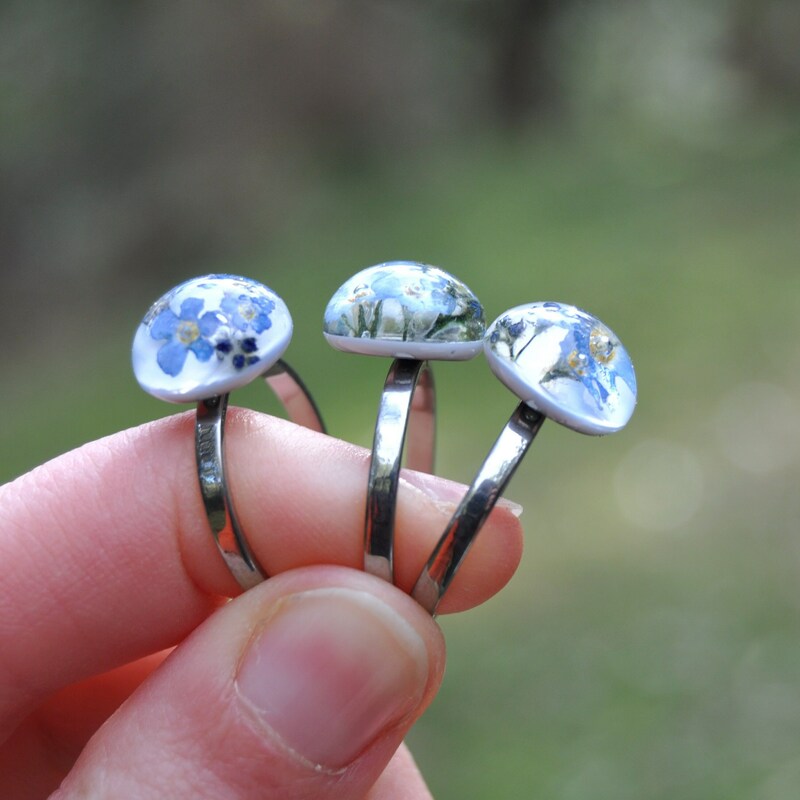 This beautiful Forget-Me-Not ring is simple yet elegant, and could make a pretty gift for a flower lover or perhaps be given as a remembrance keepsake. 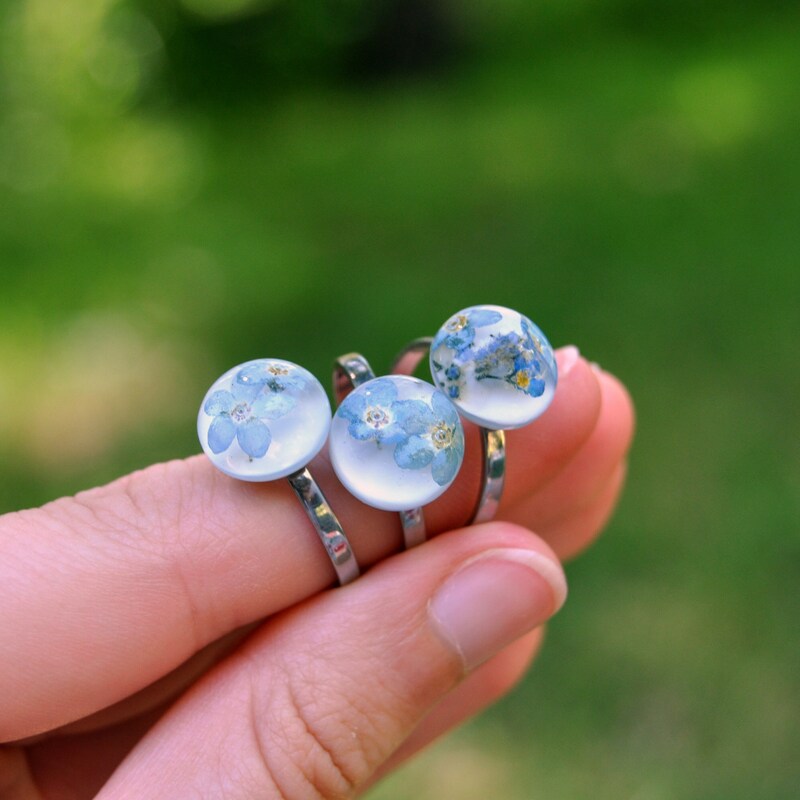 Made from real three-dimensional Forget-Me-Nots and eco-friendly resin, each part of the round focal piece has been made by hand. 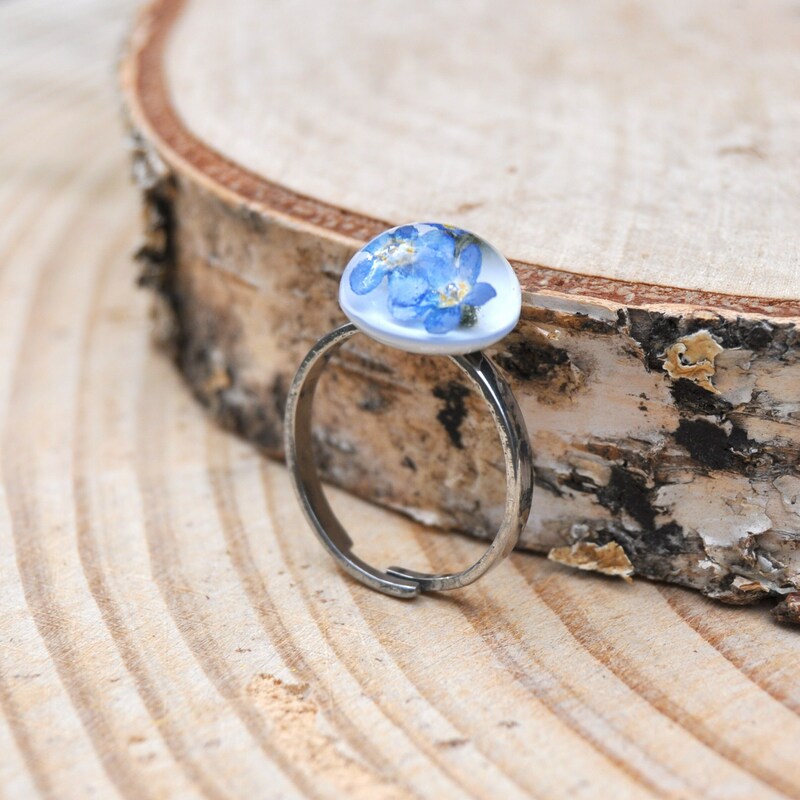 For added durability, the ring base has been set into the back of the resin focal piece, making it very stable. 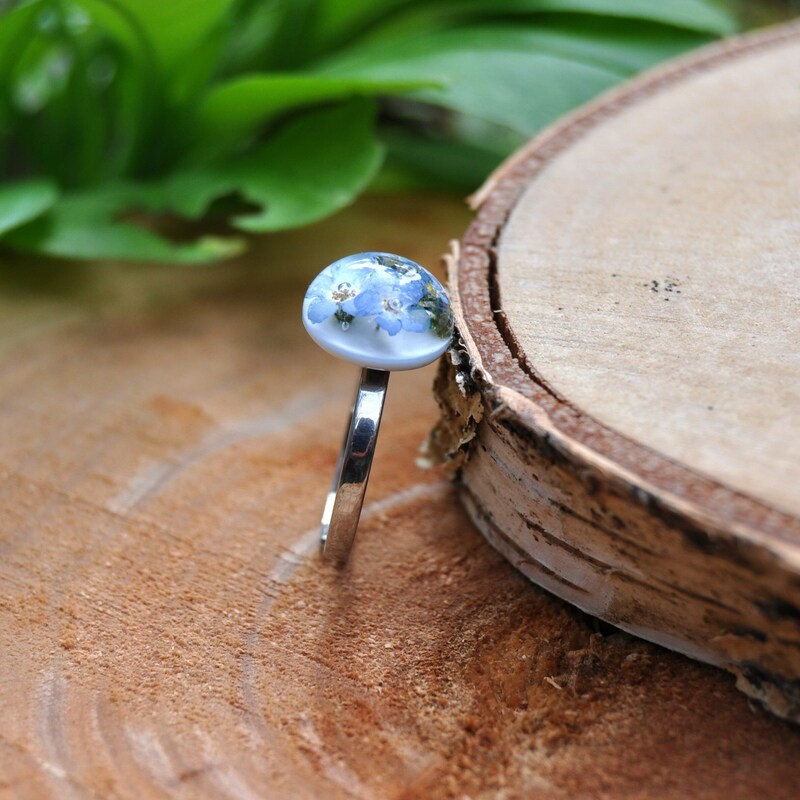 The resin cabochon measures approximately 12 mm wide.